Lloyd was appointed to the role of Chairman of the Board on November, 2010. Prior to this, he held the position of Vice-Chairman of the Board since March, 2009. Lloyd is a retired pedigreed seed farmer from Beechy, SK, and was one of the first to become a CANTERRA SEEDS shareholder in 1998. He joined the Board of CANTERRA SEEDS in 2005. Lloyd served as Vice Chairman and as Chairman for Pulse Canada. 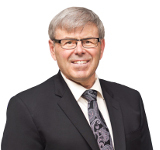 In addition, he worked as a Director with the Saskatchewan Pulse Crop Development Board and as advisor to both the development of the Special Crop Act Initiative and the SCRIP program. Lloyd also served as the as Industry Chair for the Special Crops Value Chain Round Table, and was appointed to the Agri Innovator's committee as advisor to Minister of Agriculture and Agri-Food. Lloyd currently resides in Saskatoon, SK. Jim and his wife Norleen operate a grain farm and seed processing and marketing plant at Darlingford, MB. 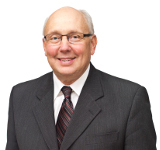 Jim received his Chartered Accountant designation in 1974 and worked in public practice until 1993. In 2007, Jim received the designation of Chartered Director from the Directors College. Jim joined the CANTERRA SEEDS Board of Directors in 2010. Previously, Jim has served as Director and Chair of Agricore United, Chair of the Canada Grains Council, and on the Board of the Canadian Agri-Food Trade Alliance, the Cereal Grains Value Chain Roundtable and the National Safety Nets Advisory Committee. Jim is also involved in the community, serving on the local Canadian Foodgrains Bank project committee, and having served on the Board of the Morden District General Hospital. Jim served on the Board of the Canadian International Grains Institute from 2012-2017 CIGI Board, and was appointed Chair of the Manitoba Agriculture Services Corp. in 2016. Ryan joined the CANTERRA SEEDS Board of Directors in February, 2011. 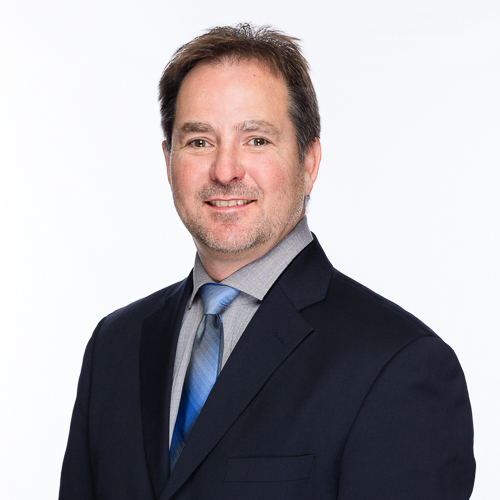 He is currently the Chief Operating Officer for CWS Logistics Ltd. in Winnipeg, MB, and brings many years of seed and crop inputs experience to the board. Previously, Ryan worked with Westeel as the VP of Sales and Marketing, as well as with Monsanto Canada in roles that include President – Seed & Trait, Sales Director – Western Canada, Canadian Chemistry Lead, and National Sales Manager – Chemistry. Ryan also spent five years working for Saskatchewan Wheat Pool in various roles in Saskatchewan and Manitoba. 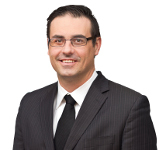 François Rollin is currently the Strategic Marketing Director of Limagrain Field Seeds and joined the CANTERRA SEEDS Board of Directors in January 2019. He graduated with a Master’s degree in Life Science from ENSH (France). 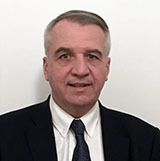 Prior to joining Limagrain, François worked for 10 years for De Sangosse, an international player in the supply of crop protection products (conventional and biologicals), biocides, fertilizers and seeds, with the title of R&D, Regulatory and Governmental Affairs Director. Previously, he held positions within Monsanto in Europe and the USA, in the areas of product development for seeds and agrochemicals, seeds production and global regulatory affairs for genetically modified crops, especially corn. Joe joined the CANTERRA SEEDS Board of Directors in 2003. He has over 30 years of agriculture industry sales, marketing and senior management experience working with companies such as Pfizer, Cyanamid Crop Protection, First Line Seeds, and NK Syngenta Seeds. Joe is a co-founder of Farms.com Ltd. and leads their growing online media business as well as business strategy, marketing and development activities. 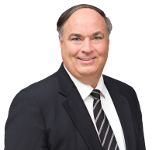 Joe has gained extensive corporate governance experience with a number of companies and is the Vice Chair of the Board of Governors for the Western Fair Association in London, ON, where he lives. Joe is past Treasurer and Board Member of the Ontario Pork Industry Council. Joe has an Honours Bachelor of Science in Chemistry from Western University and a Masters In Business Administration from Wilfrid Laurier University. Shaun joined the CANTERRA SEEDS Board of Directors in March 2009. Shaun and his family reside in Picture Butte, AB where Shaun is very active in managing his family seed business. In 2008 Shaun founded the agricultural media website RealAgriculture.com which focuses on providing Canadian farmers with the latest in agriculture information and news. Shaun is also the co-host of RealAg Radio which is broadcast daily on Rural Radio Channel 147 on SiriusXM. Kris joined the CANTERRA SEEDS Board of Directors in February, 2011. He is a third generation pedigreed seed grower. Along with his family, Kris owns and operates Greenleaf Seeds Ltd., a pedigreed seed farm and processing plant, at Tisdale, SK. The family also runs a custom harvesting business that travels throughout the United States and Canada. Kris is currently on the Board of Directors of the Northeast Ag Research Foundation and previously served on the board of the Association of Canadian Custom Harvesters, and of the Saskatchewan Canola Growers. Tatiana is the currently the CEO of the Limagrain Cereals Seeds business unit, and joined the CANTERRA SEEDS board of directors in 2017. She graduated with a Master's degree in Life Science from AgroParisTech (France) and has a Business degree from INSEAD and SKEMA. Tatiana has been working with Limagrain for 15 years. 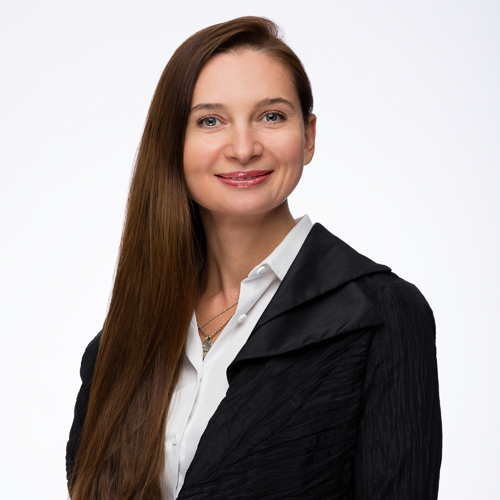 After five years as the Eastern Europe Area Manager for HM.CLAUSE (vegetable seeds), she joined Limagrain Field Seeds to establish, develop and manage subsidiaries in the fast-growing Ukraine and Russia markets. Darren joined the CANTERRA SEEDS Board of Directors in 2015. He owns Blair’s, an independent ag retail with business partner, and cousin, Kevin along with their spouses. They run eight full-service locations in Saskatchewan and one rail distribution terminal. Divisions of the business include Professional Agronomy, Animal Nutrition, Livestock Genetics, Logistics, Real Estate to go along with their core business fertilizer, chemical and seed. Darren comes from a multi-generational family grain and cattle farm background and graduated from the University of Saskatchewan with a Bachelor of Science Degree. 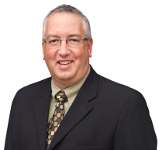 He currently holds the position of COO and works out of the Lanigan location, which is their corporate head office. He is responsible for the overall operation of all of their locations, a member of their executive and leadership team and is also the Lanigan location manager. Darren is a past Director for the Independent Dealers Association, and a past Councillor for the Village of Drake and presently sits as a member of the Executive Committee for the Pound Maker AgVentures Board of Directors. Thomas joined the board in 2015 at the conclusion of Limagrain’s purchase of a minority stake in CANTERRA SEEDS. He has been with Limagrain since 2010 and is currently Head of Research – Cereals and Pulses and is based in the U.K. Thomas is a senior executive in the seeds industry with 35 years’ experience that includes directing global research and plant breeding programs, intellectual property management (plant breeders rights, patenting and licensing), commercial strategy, merger and acquisition, marketing, sales and general management. He is a specialist in the international development of cereal seeds markets, and in wheat and barley genetics. He is a director (and former chairman) of the UK seeds industry trade association, with associated board memberships; a former non-executive director of a public sector institute; and, a former chairman of pension fund trustees. Thomas is trained in commercial strategy and negotiation, with a diploma in company direction and a PhD in biometrics. Robert is the President and CEO of Ceres Global Ag Corp, and he joined the CANTERRA SEEDS board of directors in 2018. Ceres Global is a North American-based grain & oilseeds, fertilizer, energy and industrial products supply chain company serving customers globally. Robert has been with Ceres since February, 2015. Prior to that he spent three years at ED&F Man, based in Miami and Singapore, and 19 years with Cargill, Inc. working in Asia, Latin America and the U.S. Robert has an MBA from St. Thomas University in Minneapolis, MN and a B.A. in International Relations from the University of Minnesota.